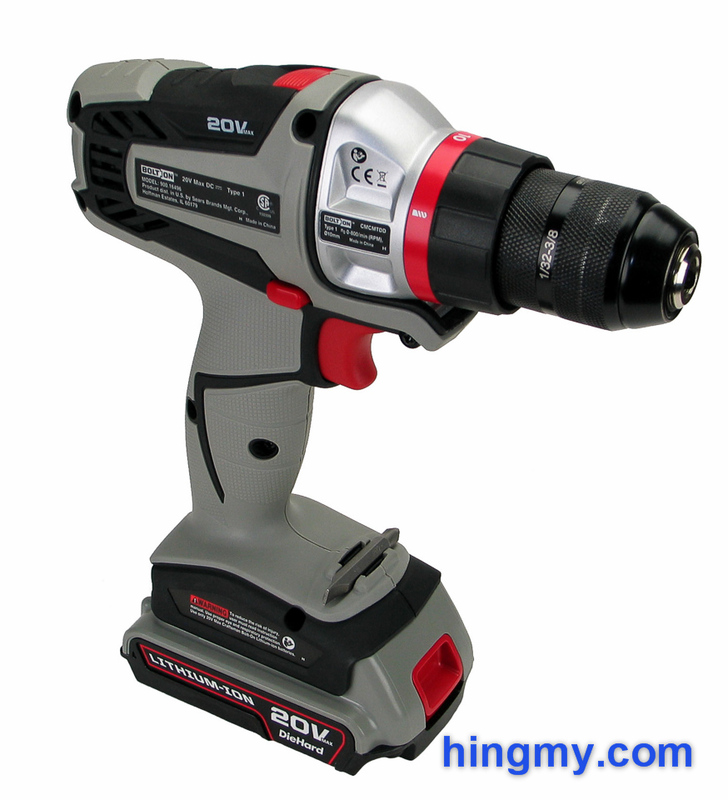 A friend of mine loaned me his Craftsman BoltOn Cordless Drill/Driver for review. At first I thought it was identical to the Black&Decker Matrix, a tool I reviewed six months ago. Turns out the BoltOn has a few features that make it the better tool. Let's take a look at how the Craftsman BoltOn managed to improve on the Black&Decker Matrix. 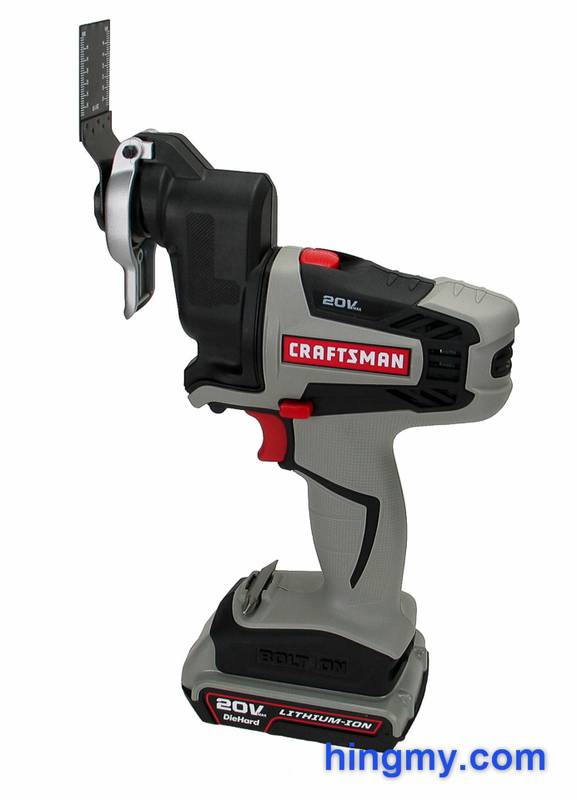 The Craftsman BoltOn system combines a handle that houses the motor and the battery with a replaceable power unit. The basic kit comes with the drill unit. The driver, router, oscillating tool, circular saw, and compressor units have to be purchased separately. Since only one handle is necessary to power all tools, the cost of the entire system is far lower than that of an equivalent set of traditional power tools. The BoltOn is licensed to Craftsman by Black&Decker, which sells the tool under the Matrix name. The superficial color difference aside, the two tools are nearly identical. In my testing the power units from one brand worked fine with the handle of the other, but I did not have all power units on hand to validate this assertion completely. The BoltOn's main advantage over the Matrix is the much better battery. The Craftsman charger restores a dead battery in under 30 minutes, a task the Black&Decker charger takes 5-8 hours to complete. In addition, the Craftsman battery stores about 10% more energy. This fixes the single most damaging flaw of the Black&Decker Matrix, and makes the Craftsman BoltOn the clearly superior choice. The build quality of the handle and drill unit is good all around. There are no lose parts or ill-fitting seams anywhere on the plastic handle. Metal dominates the construction of most power units. The units mount securely on the handle, but wobble side to side a little when stressed. During use this dynamic does no result any loss of handling. 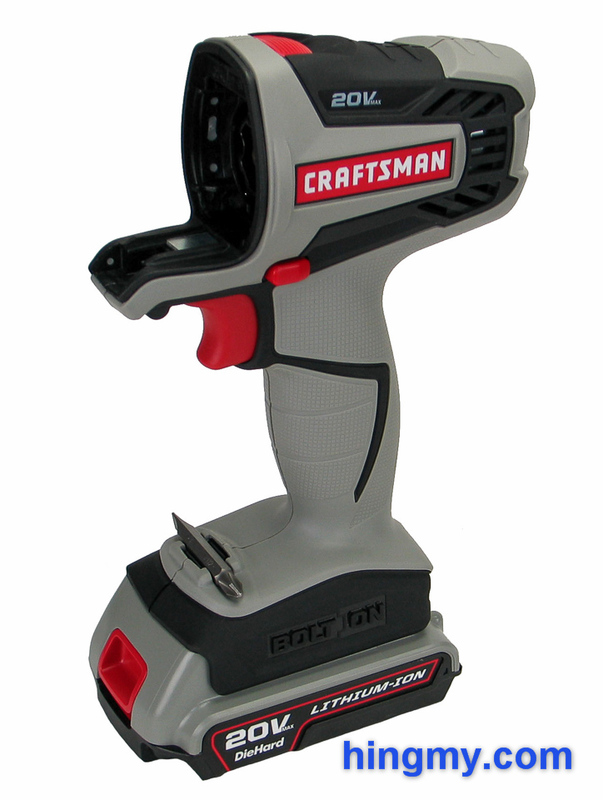 The Craftsman BoltOn is a great tool for homeowners, but does not have the features for professional use of any kind. 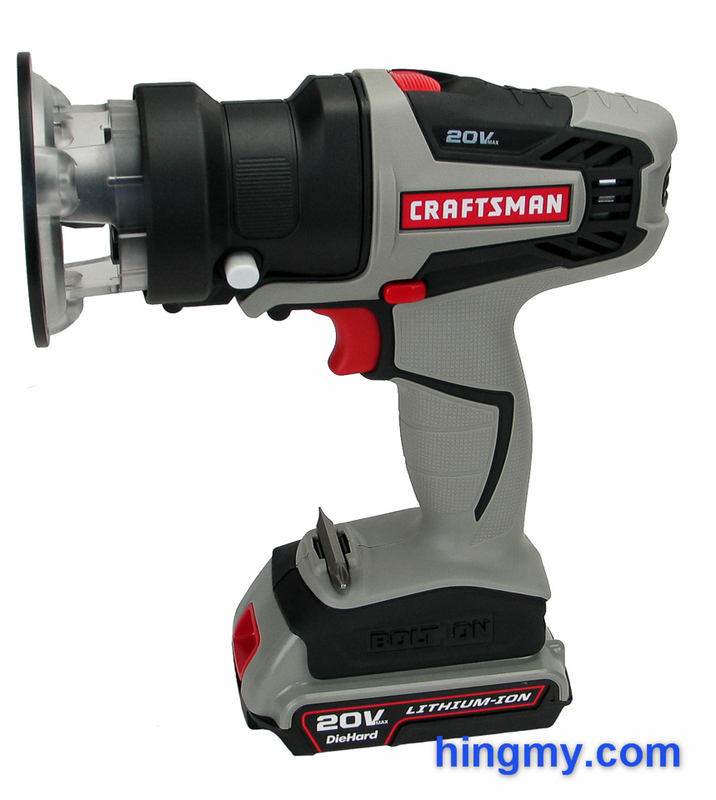 The Craftsman version of the drill unit replaces the plastic chuck of the Black&Decker unit with a metal one. This significantly increases the durability of the unit. The chuck spins on axis with only microscopic runout. Its textured surface provides ample friction for opening and tightening of the chuck. Unfortunately the poor clutch remains unchanged. Torque increases very little across the first 8 settings before ramping up dramatically during the last two. This limits the clutch's usefulness to fasteners shorter than 1/2". Installers will miss the medium torque range needed to drive longer screws. The designers added a bit holder just above the battery, seemingly in an attempt to check off a feature from a list. The metal spring securing bits in the holder is so badly built that any bit stored in the holder will inevitably come lose. If you don't want to lose bits, you'd better not use the bit holder. A work light and battery gauge are two notable missing features, which all current generation power tools offer. While these features are certainly not essential, they do increase the versatility of tools that have them. In the field the BoltOn produces good results at a leisurely pace. The motor is powerful enough to complete even large diameter holes, but at 800 rpm the finished product does not come very fast. The best cordless drills easily work 2-3 times as fast as the BoltOn. If you are willing to spend a couple of extra seconds on each hole, the results, however, are the same. Large bits can be difficult to control due to the low rotation speed of the drill. Slow moving bits tend to take bigger bites, which in turn create torque the operator has to absorb. With diligence, however, this issue can be overcome. On the job site the pedestrian nature of the BoltOn quickly becomes annoying. Few contractors will be willing to work slower than their usual place to accommodate the BoltOn. Even if you grit your teeth and work through the tedium, the durability of this system is not high enough for heavy-duty use. The driver unit, for example, heats up considerably when used continuously. A thermal death is in the tool's not too distant future, if you try to use it heavily. On small projects the BoltOn truly shines. A slow pace is not really a problem, if your job is done after only a dozen holes are drilled. With the driver unit installed the BoltOn can drive any screw you are likely to encounter in a residential environment. Considering what the system sells for, the value you get is quite good. The oscillating power unit is very well built. Metal dominates the entire design. A large spring-loaded lever opens the unit's chuck. Blades install in only a few seconds. The way the handle attached to the unit at a right angle creates good ergonomics. The chuck accepts implements from many different manufacturers, but the missing universal adapter eliminates a few. Cutting performance is good, but slow. The BoltOn will complete any cut a dedicated cordless oscillating tool can, but it will take considerably longer. A slow pace is less of a problem on an oscillating tool, which is typically used in short bursts. Only heavy-duty users will find a reason to upgrade to a more powerful oscillating tool. The router unit is an ill-conceived addition to the system. Made almost entirely out of plastic, it does not have the weight necessary to guide a router bit in a stable way. Add to that the slow speed of the motor, and you have a very limited router platform. Guiding a round-over bit along an edge requires considerable concentration and patience. There is no weight to absorb small jolts, and the slow cutting bit is far more likely to snag. The tool is top heavy, and the pistol grip feels like a foreign object. Good results can be achieved, but this router makes it far more difficult than it has to be. Depth adjustments are done by loosening a latch and spinning the clear plastic part of the base. The whole operation is serviceable, but the precision is just not there compared to what a good trim router can do. The mechanism's vertical range is only about 1/2". The Craftsman BoltOn system works well on small projects around the house. The build quality and performance of most power units is well matched with tasks that can be completed in a couple of hours. The BoltOn's far superior battery makes it the superior choice when comparing it to the Black&Decker Matrix, which it is a variant of. The slow pace and questionable durability of the BoltOn under heavy load keep this tool out of the hands of professionals. If you earn a living with your tools, the BoltOn is not for you. 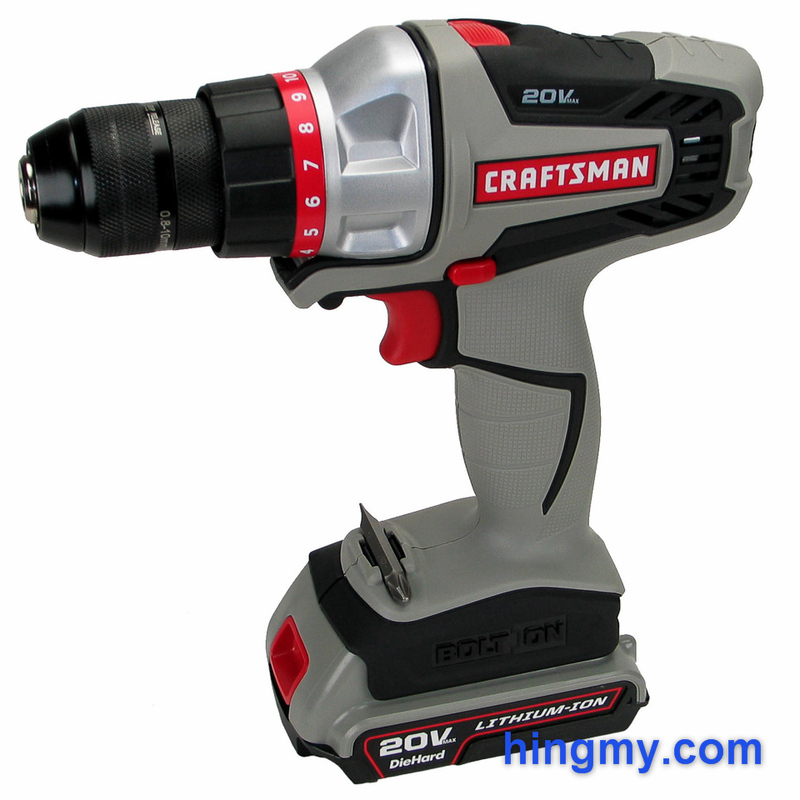 Anyone looking for a decent set of power tools to use around the house should take a closer look at the Craftsman BoltOn system.